Get your scorecard! Right here...only while supplies last! You can't tell which dimension the players are in without a Playbill! 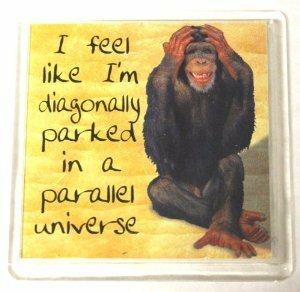 Git sum multi-dimensional insight...right here! First dimensional consciousness is awareness as a point. 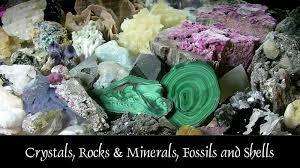 The consciousness that resonates to this dimension is the Mineral Kingdom. Current third dimensional science has not proven that minerals have any awareness as we recognize it, but healers and shaman have been using crystals as healing tools for many centuries. Humans’ first dimensional consciousness is “unconscious” to our five physical senses. However, the first dimension is a portion of our bodies and represents the minerals, water, and genetic codes that are the foundation of our physical forms. If we could access this level of our unconscious, we could connect with the entire physical world via its most basic common denominator, the individual molecules. Perhaps we could even consciously access our own genetic coding. I feel myself upon the first step of my consciousness. I am of the first dimension. I am an atom of carbon, a drop of water, and an imprint upon a strand of DNA. However, I cannot perceive the strand or the other molecules of water and carbon. I am only conscious of my exact point of my awareness. However, as I look inside myself, I find that another world exists, a world of electrons, protons, nuclei, and quarks. I am the gateway between the macrocosm and the microcosm. Second dimensional consciousness is awareness as point and line. The consciousness that resonates to this dimension is biological matter such as the Plant Kingdom and the lower Animal Kingdom. The consciousness of this dimension does not possess self-awareness. These beings are only conscious of their species’ identity and their need for feeding, fighting, and procreation. Their consciousness is based upon survival of the fittest and they live solely within the awareness of the moment. Human second dimensional consciousness is centered in the lower brain, which directs the autonomic nervous system to regulate and maintain life support functions. Our five physical senses are largely unconscious of this component of ourselves, but with training such as biofeedback and meditations, some conscious awareness and control can be established. Yogis are known to achieve enough conscious control of their autonomic nervous system and can regulate their heartbeat and metabolism. “Primitive” peoples are much more aware of this “animal” portion of their physical form and, therefore, have conscious access to their basic instincts. and an awareness of how they are a portion of a greater whole. Unlike “civilized” man, they have a constant respect for all life and the balance of Nature. I feel myself now expand to my second dimensional consciousness. My task is simple. I must survive. I will protect myself and procreate in the proper season. 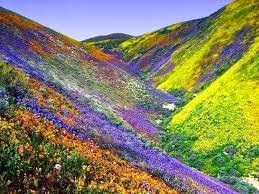 I look neither forwards nor backwards, and I dwell only in the present. I am what I am and where I am. I neither plan nor reflect. I live to continue the existence of my species. If a human consciousness inhabits my form, I am not aware of it. My perceptions are confined to what I can eat, use, fight, mate with, or rear. However, my “herd” and I are one. Our instincts guide us, and we are a part of Nature. Third dimensional consciousness is awareness of point, line, length, breadth, height, and volume. 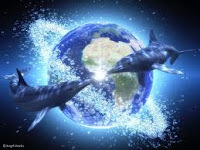 The primary consciousness of this dimension is the higher Animal Kingdom and the Human Kingdom. The humanoid form is composed of all the elements of the first and second dimensional being, which are: water, minerals, genetic coding, and biological matter, as well as an individual soul. It is the individual Soul that distinguishes humans from the other members of the Animal Kingdom who mostly have a group Soul. The third dimension is locked in a time/space and cause/effect paradigm. This dimension is a schoolroom that our Souls attend by inhabiting humanoid physical bodies to learn more about creation. In the third dimension, life mirrors all that we are seeking to understand. Therefore, the process of creating via our thoughts and feelings is slowed down so that we can track the circumstances of what we hold in our consciousness. 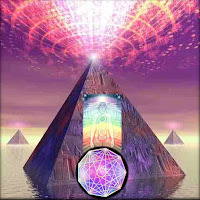 The third dimension is known as the conscious world. 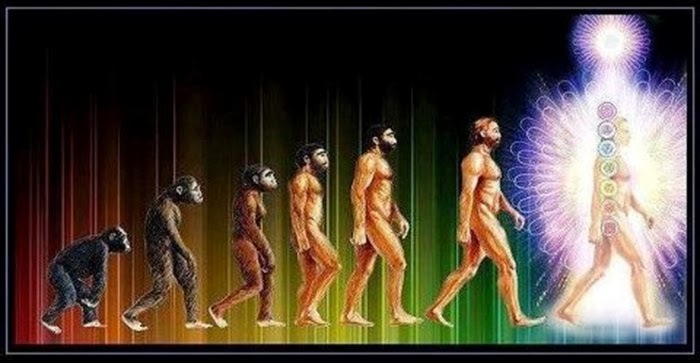 However, there are different stages of human consciousness aligned in a hierarchical manner that often coincide with our age and stage of life. In the first stage, we are children, and we are dependent on others for our survival. In this state of dependency we do not realize that our consciousness holds the seeds of the life we are creating. We believe that we are powerless over our environment and are victims to the circumstances of our lives. It is our goal to gain enough self-awareness as we mature beyond this child state so that we can become independent. In the Second Stage we are independent. This independence develops as we learn that we can control our own life. Through our choices and experiences, we gain trust in our ability to be responsible and we maintain our responsibility because we respect ourselves. This respect is based upon. our sense of personal power. Without a sense of personal power we are filled with fear which reduces us to “surviving”. In the Third Stage we are dependable. This dependability develops as we gain enough trust and respect for ourselves that we can become responsible for others. Through positive experiences, we have learned that we definitely have an impact, not only on our own life, but also upon the lives of others. Because of our earned self-esteem, we feel confident that we are reliable. Unfortunately, people will take responsibility for other people’s lives while they are still in the dependent stage or when they have not yet learned to be responsible even for themselves. These actions can create generation after generation of dysfunctional families. As humans we have the ability to remember the past and the future while remaining aware of the present. However, much of our true SELF becomes lost in our unconscious mind. This loss leaves us with a feeling of separation from the whole, a fear that we are limited in our ability to achieve our desires, and a belief that we have to “work hard” to accomplish our goals. Third dimensional society and “science” seek to prove that the only reality that exists is the one we perceive with our five physical senses and urges us to believe that our 3D perceptions of reality ARE the only reality. From this state of consciousness, spirit congeals into matter and our consciousness is limited to our ego. Hence, the need for the development of a strong sense of ego is often gained at the cost of losing our sense of group identity. This limitation is especially in especially predominant in the Western World where individual achievement and possessions often become the most important parts of our lives. Awareness of our Spiritual Self can only be remembered when we have expanded our consciousness to encompass the higher dimensions. Then we can release our dependency upon others and heal our sense of powerlessness and victimization. We then become independent in a new sense because we have realized that we and we alone, are creating our reality. We are, thereby, more dependable then ever because we are not waylaid from our promises and goals by our own “unconscious” self-sabotage. Individual Consciousness TO ~ Group Consciousness TO ~ Community Consciousness TO ~ National Consciousness TO ~ Collective Consciousness TO ~ Planetary Consciousness TO ~ Galactic Consciousness. As our consciousness expands, so does our definition of the world in which we live. I expand my consciousness to the next step. I am three-dimensional. I am aware of myself as an individual human, but still I struggle for survival. I need to feed myself, shelter myself, and cover my body. I wish to find a mate and create children. Is there more? Yes, there are feelings and thoughts. With my thoughts I remember my past. My feelings fill these memories with happiness, pain, love, or fear. With my thoughts I plan the future which I desire. But do I have the power to create my life or am I a victim to the world around me? Fourth dimensional consciousness is awareness of point, length, breadth, height, volume, and time. The fourth dimension is also known as the Astral Plane, and the primary consciousness of this dimension is the Astral Body, which is also known as the “higher human.” Because of the octave leap in vibration from third to fourth dimension the Astral Body is of a higher vibration known as etheric and fourth dimensional perception of past, present, and future is more fluid, as the laws of time and space change. On the fourth dimension, we can reintegrate our group identity without the loss of our personal ego, as it is the last vibration where physical vehicles are used to contain individual consciousness. However, because of the fluid nature of time and space our astral forms naturally morph. Hence, there is a huge mobility of form. It is the realm of the “shape shifters” of which mythology speaks. A shaman or holy person who can shape shift has learned to ground their astral form upon the third dimension so completely that they can temporarily change their third dimensional form. Much of our third dimensional life also exists upon the fourth dimension in a format of a higher vibration, but we are not aware of it because that reality is NOT in sync with our physical time and space. We can have a dream of an entire lifetime and wake up to find that only five minutes of our physical time has passed. Our astral reality, as well as our other physical incarnations, is not perceivable to our third dimensional self unless we have remembered our Multidimensional Consciousness. The fourth dimension is the realm which holds the awareness of our body’s first and second dimensional components, as well as all our past experiences of this life and all other third dimensional lives. We can expand our third dimensional consciousness into the fourth dimension through gaining an awareness of the inner-workings of our physical body, remembering our dreams, and having intense experiences of passion, emotion, creativity, and/or spirituality. The Astral Plane is the realm of dream life. When we are “asleep”, we are unconscious in the third dimension, but we are conscious in the fourth dimension. Our fourth dimensional Astral Body possesses advanced dreaming, imagination, psychic ability, intuition, magic, and creativity. As we expand our mind to frequency of the fourth dimension, we can experience more and more of these qualities while in our physical form. 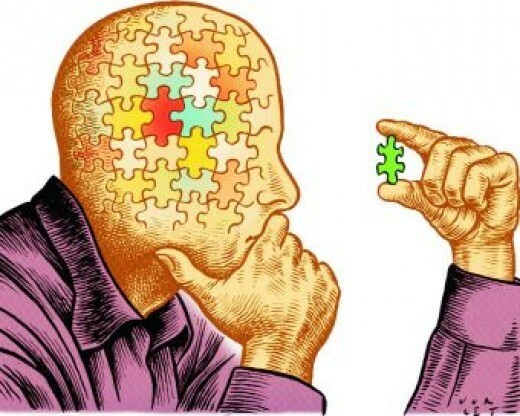 Some people are born with an innate connection to their fourth dimensional self and must “work” to ground their consciousness in a third dimensional world that often feels foreign and hostile. 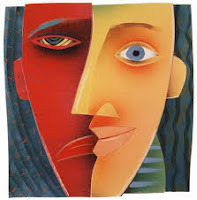 Others are born without this awakened connection, and they usually feel more comfortable and “at home” within the third dimensional paradigm. These people often feel cut off from the higher dimensional portions of themselves and may not even believe that “higher selves” even exist. However, our astral body does exist and its highest vibration is our Spiritual Guidance. Much like a person upon a mountaintop can observe and guide the residents of the valley below, our higher astral self can observe us upon the third dimension and give us guidance. Through the expanded perception of our fourth dimensional self we can create great changes in our physical world. However, the fourth dimension still has the polarization of light and dark, and this realm is not necessarily more loving, especially upon the lower sub-planes. Upon the fourth dimension, thought and feelings create reality much more quickly than upon the third dimension, and fear can create evil as easily as love can create beauty and joy. There are different planes, which are increases in frequency, which we can access by expanding our conscious. The Lower Astral Plane holds the invisible emanations of all the fear and negativity that is projected into it from the physical plane. The Lower Astral has been known as Hell, with Purgatory being above that. Fourth dimensional consciousness feeds into and extends third dimensional emotions. Therefore, it is often known as the “realm of emotion”. The Lower Astral, which holds the third dimension’s negative emotions, is not a pleasant experience and a path must be forged through it into the higher sub-planes-such as Faerie. The Land of Faerie, which we read about as children in our “Fairy Tales”, actually exists upon the middle fourth dimension. Faerie acts as respite after we have forged our pathway through the fear and darkness of the Lower Astral Plane. After we have experienced Faerie, we can travel in our fourth dimensional consciousness (or fourth dimensional bodies) into the Emotional Plane, also known as the Astral Plane, to learn about the master of our emotions. From there, we can travel up into the Mental Plane to learn mastery of our thoughts. In the Causal Plane, also known as the Higher Mental Plane, we can learn the cause and effect of how thoughts and feelings create our world. The Spiritual Plane connects us to the higher guidance of our I AM Presence. The fourth dimension is like a stream that creates a bridge into the higher dimensions. The base of the bridge is where the physical and astral bodies overlap. This area is known as the Etheric Body. 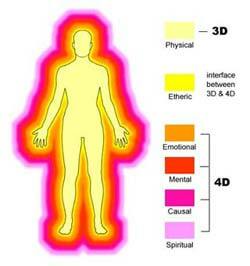 The Etheric Body is of a vibration between the third and fourth dimension. This body encompasses the physical body and extends beyond it a few inches. Each of the sub-planes of the fourth dimension has a correlate body, with every body resonating to a higher vibration than the latter. The Emotional Body, also known as the Astral Body, is higher in vibration than the etheric and physical bodies and extends beyond them. Overlaid on the lower frequency bodies is the Mental Body, which is also of higher vibration, and extends beyond the Emotional Body. Then the Causal Body, again another increase in vibration, overlays the other bodies and extends beyond the Mental Body. Finally, there is the Spiritual Body, the “I AM Presence,” which is the highest in vibration and extends beyond all the other bodies. 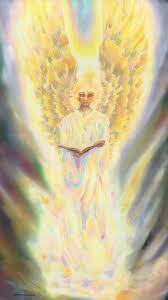 The I AM Presence is the guardian to the Rainbow Bridge, which crosses over into the fifth dimension. All the fourth dimensional bodies exist over, under, around, and through the physical body, but they cannot be seen by our five physical senses. If we can perceive the fourth dimension consciously, we can expand our awareness enough to cross the Rainbow Bridge into our Superconscious Mind of the fifth dimension. We navigate out travel into and through the fourth dimension with our desires, thoughts, and emotions. A metaphor of this would be sailing the ocean. 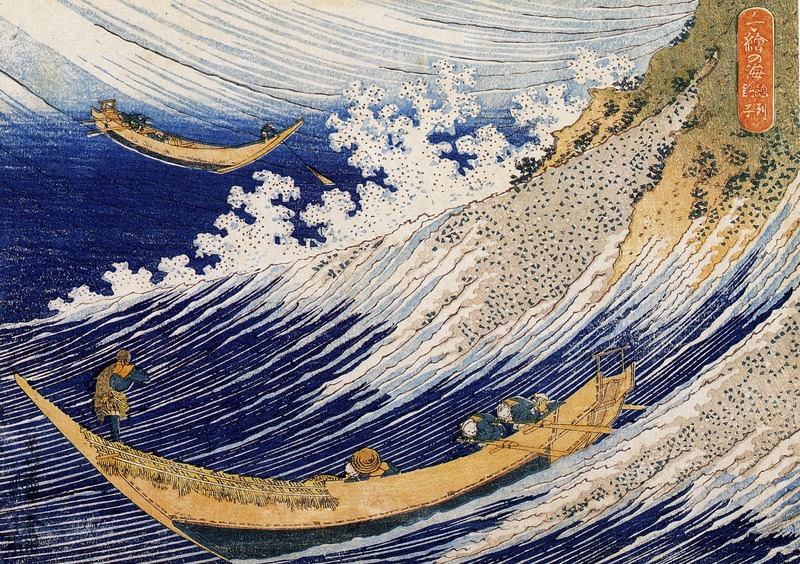 We are the boat, the ocean is the Astral Plane, the location we wish to reach is our desire, our thoughts are the sail and the steering, and the wind is our emotions. If our emotions are fearful and tumultuous we will have an uncomfortable ride. Even though our desire is for the higher planes of the fourth dimension, our personal imbalance will limit our entry to the Lower Astral Plane where fear, which is the lack of emotional balance, rules. If we wish to journey to the higher planes of the fourth dimension we must keep our thoughts harmonious and our feelings centered in the infinite balance of love. In that manner, eventually, we can experience all the planes of the fourth dimension. 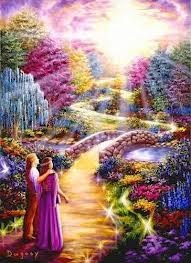 Then our I AM Presence can lead us across the Bridge into the fifth dimension and beyond. I step into the fourth dimension. I see my connection to all of life and to my third dimensional selves on the step below me. However, I still experience myself as an individual. My reality is very mutable now. Persons and places change quickly, but I am aware that it is my thoughts and feelings that dictate these experiences. My fearful thoughts create frightening situations, and my loving thoughts bring me happiness. If I follow my fear, I go down into a world of torment and sorrow. However, if I follow love, I see a Rainbow Bridge of Light. Fifth dimensional consciousness is awareness of length, breadth, height, time, and spirit. All life upon the fifth dimension lives in the Unity Consciousness of Spirit, but there is still an experience of “I” as an individual member of the group. Linear time and space do not bind consciousness here, and there is NO illusion of separation or limitation. Instead, there is a constant experience of the Oness of God/Goddess/All That Is. 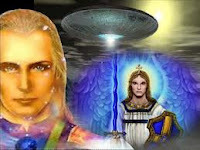 The primary consciousness of this dimension is androgynous, stellar beings living in Lightbodies. These Lightbodies are light based rather than our carbon based physical bodies. Our Lightbodies have the awareness of our lower selves without the physical limitations. These forms have no need for pain to learn their lessons. Therefore, they do not need the protection and warning signals of the physical body. Our fifth dimensional selves have integrated the lessons that their lower dimensional selves are learning through the experiences of “Schoolroom Earth,” and do not need physical suffering to learn. All actions on this plane are based upon love because, just as a dead leaf cannot survive the higher vibration of a fire, fear cannot survive the higher vibration of the fifth dimension. If we were to experience fear while in the fifth dimension, our vibration would drop and our consciousness would instantly be lowered to the lower sub-planes of the fourth dimension. It is only within the consciousness of fifth dimensional Unconditional Love that we can maintain a conscious connection with our Spirit SELF. On the fifth dimension, experience, creation, and travel are created in harmony with the Divine Will of God/Goddess/All That Is. Every being, place, situation, or location that is desired becomes instantly manifest. If we do choose the experience of movement, it feels like a combination of flying and treading water. Our Lightbodies, like our fourth dimensional bodies, are mutable and can easily change form. Just as we can change our location or experience with our desire, we can also change the form of the “body” that surrounds our consciousness. 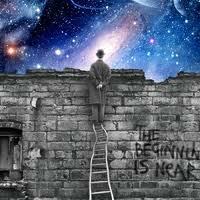 The fifth dimension is the beginning of ascension. Hence, all consciousness there is naturally multidimensional. The awareness of the fourth and third dimension are as automatic as looking at our hands and feet. Since there is no sense of separation, we can experience our third and fourth dimensional realities within the same moment that we are experiencing our fifth dimensional Lightbody. Because there is no feeling of limitation, we can easily believe that we are “alive” and “conscious” within many different vibratory rates. 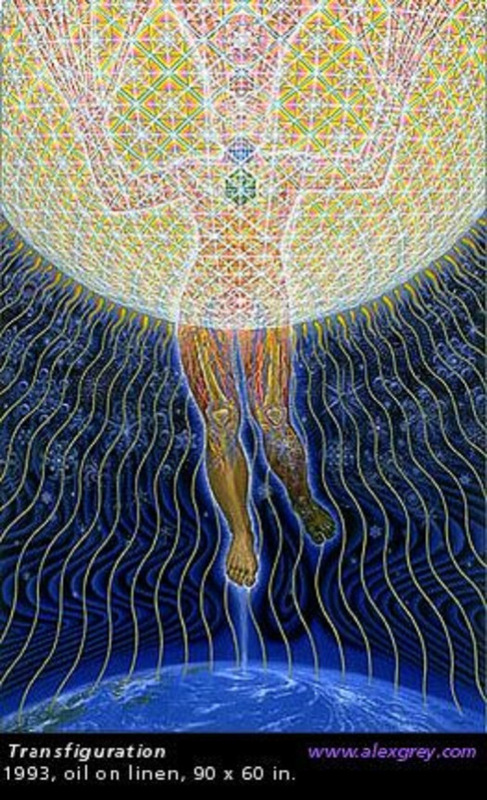 Just as our third dimensional consciousness is aware that we are also made of the minerals, water, genetic codes, and biological matter of the first and second dimension, our fifth dimensional self is aware that we are also third and fourth dimensional beings. On the fifth dimension we live in Unconditional Love, Unconditional Forgiveness, and Unconditional Acceptance. We hold no judgment, guilt, or negativity towards the “lower” portions of ourselves that are striving to remember our “Higher Selves”. In fact, our fifth dimensional self serves as a guide to the lower aspects of our consciousness, as well as to others. There are also sub-planes of the fifth dimension, but awareness of, and therefore writings about, them are minimal. It has been my experience that there is a threshold upon which we wait for our Divine Complement. Our Divine Complement, also known as our Twin Flame, is the opposite polarity of our integrated male/female androgynous Lightbody that was split off from us when we took embodiment in the lower dimensions. I am upon the step of the fifth dimension and see that there are many steps above me. I am aware of and united with the portions of myself upon the lower steps, as well as my other fifth dimensional realities. Love and fear, beauty and ugliness, are only polarities of a single concept. I live in unity with the male and female expressions of my being. I have learned to Unconditionally Love, Unconditionally Accept, and Unconditionally Forgive all life and the portions of that life that I identify as myself. I have a sense of personal identity within the unity of All That Is. My thoughts and feelings are instantly manifested, and my body of Light lives forever in the NOW.